Swati Group is a leading name in the hospitality sector. It entered into the hospitality business with the inception of “Swati Hotel” and “Swati Deluxe Hotel” and simultaneously two restaurants namely “Suruchi” and “Shudh”. 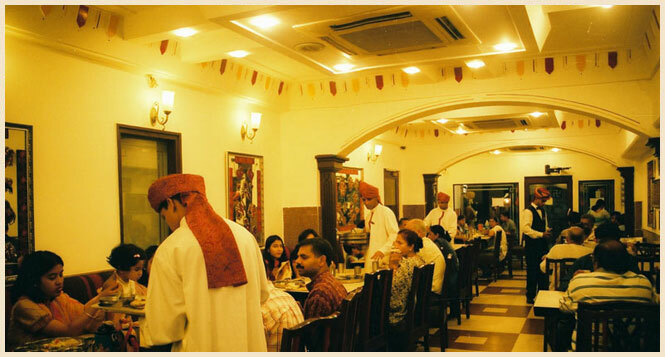 Located in the heart of capital city, all of these four outlets are popular among the regular visitors of Delhi. Suruchi Restaurant is a destination for the food lovers who look for authentic regional specialties, specifically cuisines from Gujarat & Rajasthan. Moreover, Mumbai snacks are also served in a traditional way at every Suruchi outlet. Suruchi Restaurant offers the finest traditional cuisine of India taking forward the celebration of its exotic and colourful culture. Swati Hotel is the first pearl in the necklace of Hospitality section of “Swati Group”. It has 33 beautifully decorated rooms with 4 different categories. Swati Deluxe Hotel is second hotel came up after successfully serving the guests at Hotel Swati. Swati Deluxe has 44 rooms with more facilities and added features. Shudh Restaurant is also located in the most happening market area of West Delhi i.e. Karol Bagh. Now carved a place among leading restaurants of NCR, originally it was the first multi cuisine Food Court in North Delhi. Its five food categories Desi Kona, Super Tambi, Chow-Ho-Jaye, Hearth Stone & Slurp serves tangy and lip-smacking assortment of Mocktails, Fresh Juice, Ice Cream, Snacks, Soups, North Indian, South Indian and Chinese varieties in its stunning interiors. We offer finest culinary experience to our guests at our restaurants which are famed among the topmost restaurants in NCR. We also specialized in custom-made order and delivery of the same at your door step. We serve the food parcels in specially made boxes with compartments to avoid any spilling of food. What makes our restaurants best is the perfect blend of taste, traditions and hospitality.